A Promise is A Promise is an English original, written by Robert Munsch. This story is based on a legend in the Arctic, created with the intention to protect the little ones from going too close to ice-bergs or too near to the shore. This is the chinese translated version. A Promise is a Promise is about the Qallupilluq 水妖 [sea monsters], an imaginary creature that resides in icebergs. According to legend, the Qallupilluit are grotesque looking and grab innocent children who come too near the shore or stand too close to cracks in the sea ice. Allashua, a young Inuk girl, disobeys her mother’s warning not to fish on the sea ice. She is captured by the Qallupilluit and dragged down to the bottom of the ocean. After barely escaping, Allashua must help her mother to trick the sea monsters in order that she and her siblings are spared their lives. The Inuit created this story to assist in keeping their children safe particularly given the fact that Inuit families traditionally spent a great deal of time on or near the sea. Once the children read and learn about the Qullupilluit, they can make up their own stories to keep one another from danger and have the experience of creating mythology for the purpose of survival as the Inuit did. Available in hard cover and in simplified chinese. There is no hanyu pinyin in the book. For reading to the child, this book may suit children of 5 up. For self-read, this book would be recommended for children of 10 up. 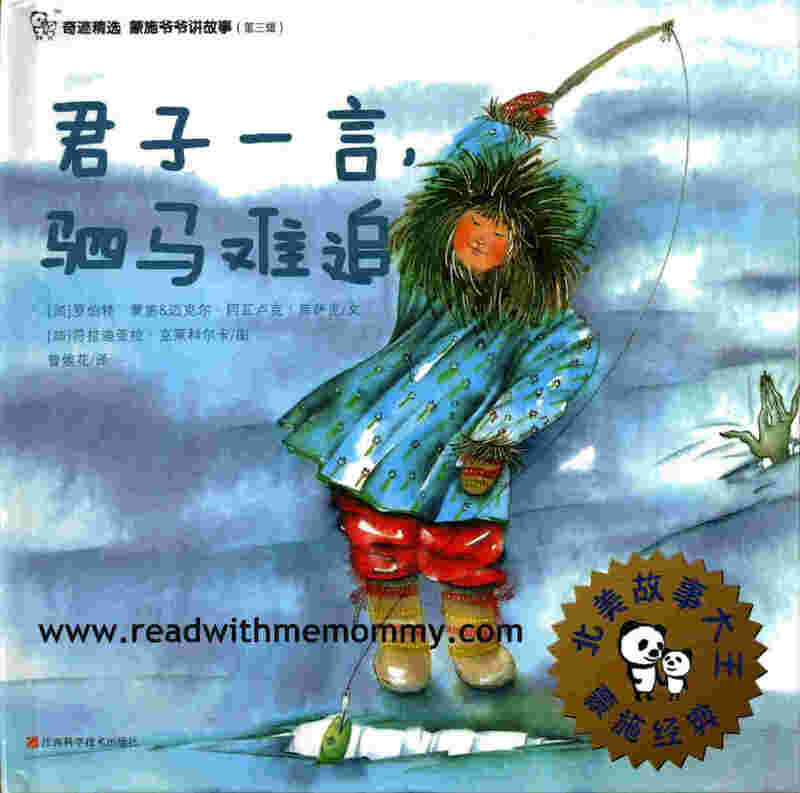 If you are looking for storybooks on folktales, you can consider The Stone Soup [石头汤], a lovely tale about the strength that people possess when they work together. Robert Munsch was born in Pittsburgh, Pennsylvania. He has got a degree from Boston University in 1971 with a Master of Arts degree in Anthropology. He studied to be a priest but decided to work with children instead, after taking on jobs at orphanages and daycare centre. Munsch's wife delivered two stillborn babies in 1979 and 1980. Out of the tragedy, he produced one of his best-known books, Love You Forever. This book was listed fourth on the 2001 Publishers Weekly All-Time Best selling Children's Books list for paperbacks at 6.97million copies. Munsch has obsessive-compulsive disorder and has also suffered from manic depression. In August 2008, he suffered a stroke that affected his ability to speak in normal sentences. He has recovered enough that he is able to perform live, but has put his writing career on hold until he is fully recovered.